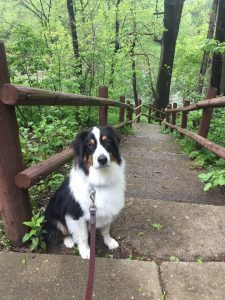 There are so many new websites popping up for dog walking and pet sitting in Racine these days…how do you choose? Ask yourself if you feel confident and comfortable having someone who you have NEVER met come into your home and care for your precious cat or dog. How do you trust this website and how do you know what you are getting? The answer is, if you are seeking a reliable, award-winning company to do dog walking, pet sitting or cat sitting in Racine, trust someone who is involved in your community – Wisconsin Pet Care. Wisconsin Pet Care is the highest-rated and awarded pet sitting company in Wisconsin. We offer pet parents pet sitting, dog walking, and poop scooping. Call 877-822- 6926 for more information on Dog Walkers and Pet Sitting in Racine WI. 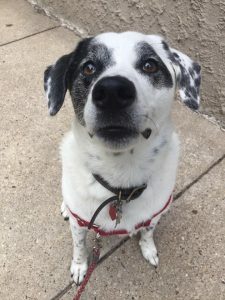 I believe that 99% of the pet owning population believes that just about anyone can be a professional dog walker in Racine or pet sitter in Racine. After all, all it takes is basically two legs, a leash and a brain. Easy, right? A monkey can be a professional dog walker if this theory is right. Question: A dog is licking his lips and his tail is tucked. What is he saying? Answer: HE WANTS TO GIVE ME A KISS! Question: A dog is baring teeth, growling at you and his tail is up, rigid and pointed. You need to get this dog out for a walk and for him to trust you. What do you do, as a professional dog walker? Answer: I BEND DOWN TO HIS LEVEL AND STARE AT HIM. CONCLUSION – if hired, this candidate would be a liability to the company and to the pet owner. On another note, while walking my dogs this morning, someone picked up the dog she was walking to get away from mine. I explained to her that by doing that, she also became a target if another dog wanted to get to the dog she was carrying. Was I speaking Arabic. NO! And she did it again. She also informed me SHE WAS THE PET SITTER. CONCLUSION – What does your neighbor friend really know about canine body language and safety precautions? I hate to tell you, but these are the people who are signed up for Rover.com and Wag.com and all the other .com’s who are out there now. People think because they have owned a dog or a cat, that qualifies them for being capable and able to take care of your pets in a professional dog walking or pet sitting capacity. THINK AGAIN. Another faux pas, in my book, is the friendly neighbor kid, or the neighbor down the corridor who is a “dog walker.” What is the plan if something happens, what is their training, and what happens if something happens to them? They may look cute and dependable but are they really? Do THEY HAVE 400 5-star reviews? Let’s face it. Peace of mind is priceless. Wisconsin Pet Care knows how to care for animals. We are a highly skilled, trained and proven company with outrageously fantastic sitters. We offer pet parents pet sitting, dog walking, and poop scooping in Racine. 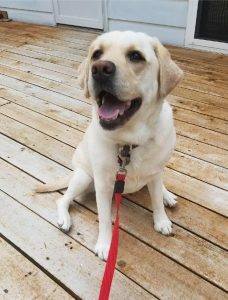 Ready to Book Dog Walking or Pet Sitting in Racine?